In other words, Rafale deal offers us insight into how dangerous this dogmatic faith in privatisation can become. BJP and its cohorts have been firing in all directions for long, whenever Rafale deal has been mentioned. The season for blaming others reached its crescendo when the union minister of defence and the Indian Air Force chief blamed Hindustan Aeronautics Ltd, a premier defence public sector unit, for being the cause behind the decision to settle for outright purchase of 36 Rafale jets from Dassault. They thrashed HAL, damned Tejas, abused opponents and condemned critics. Even former IAF chiefs, who had expressed concern over reduced number of fighter jets being bought and had publicly asked for more, stood damned by this barrage. Well-reasoned arguments and concerns were cast aside. This concerted media blast by the BJP appeared to be working in tandem with Anil Ambani group which was dishing out ‘cease and desist’ notices to those who even mentioned their name in connection with the lucrative offset deal they landed when PM Modi arbitrarily changed the deal to purchase of 36 jet fighters outright from Dassault. Every trick in the trade to confuse the public was used. Their strongest defence – the Indian government or its top echelons had nothing to do with offset partner chosen by Dassault – fell apart with former French President Francois Hollande’s disclosure to French investigative journal Mediaport, that it was the Indian government which had “recommended” Anil Ambani-led Reliance group as offset partner for Dassault – as a part of offset servicing. Hollande reiterated the same a few days later. Rohan Venkatramakrishnan of Scroll.in reported on September 22, by citing Le Monde as a source: “Asked by AFP on Friday Hollande said that the name of Reliance Group had appeared as part of a ‘new formula’ in negotiation over the Rafale deal, decided by the Modi government after it came to power”. Next he was “[a]sked if he knew whether India put pressure for the Reliance Group to work with Dassault, Hollande said that he was ‘unaware’ and “Dassault alone is capable of answering”. The French Government as well as Dassault Company scrupulously stayed away from damning Hollande, or repudiating what he said. They dare not, as it would amount to saying that former head of French Republic is lying about how Anil Ambani-led company landed the lucrative offset deal worth Rs 21,000 crore out of Rs 30,000 cr. So, the troubling nature of this entire deal cannot be brushed away. That a company with no track record was touted as a “key partner” by the company Dassault was astonishing, but the fact that it stands to be the main beneficiary of as much as 70 per cent of the total offset value, makes it more intriguing. In other words, the fig-leaf of 70-100 offset partners, cited by the BJP and cohorts, cannot cover up the fact that Anil Ambani group stands to corner 70 per cent of the offset deal. It is worth recalling that Josy Joseph of The Hindu had written on September 30, 2015 that French company Dassault had many concerns. One amongst them was “about a major Indian private conglomerate whose services are being recommended by some sections of the Indian government”. A due diligence on the “recommended” company has “thrown up questions over its financial capabilities”. These questions/leads were not followed up by India’s corporate media, wedded as they are to the dogma of privatisation – unmindful of the consequences for the country privatising the military sector. Next, we hear Eric Trapper, the CEO of Dassault, telling Manu Pubby of The Economic Times, on July 6, 2017 that “we were told that HAL was fully booked. We talked to Reliance, and they were keen to create such capabilities in India. They have a track record and the financial capabilities as well”. Both remarks leave too many things unanswered, which we now know. Who told Dassault that HAL was “fully booked”? And from where did the Reliance Group enter the scene? Yet again, the corporate media kept silent. Former Chairperson of HAL, T Suvarna Raju, who demitted office on September 1, 2018, told Hindustan Times on September 20, “I was the leader of the technical team for five years, and everything had been sorted out (between HAL and Dassault).” He added, “Dassault and HAL signed the mutual work-share contract and it was given it to the government. Why don’t you ask the government (of India) to put the files in public? Files will tell you everything.” The corporate media played this down again. May be because they, owned by corporate houses, cannot be seen as championing a defence public sector unit when they are ideologically tuned to only damn them, and praise the private sector. Dassault’s CEO Eric Trapper is, of course, being miserly with – if not suppressing – the facts regarding the work-share deal reached between Dassault and HAL, and the real story of why they ditched HAL and settled for a novice company. Against this background, Indian government’s own explanation is unconvincing. According to IAF, India needed 126 fighter jets. If Narendra Modi government indeed negotiated a better deal with Dassault, then why is it that they stopped short at 36 jets when they were procuring them for a lower price than negotiated by the UPA? . If the decision was to go for a reduced number, from 126 to 36, and this was a new deal which replaced the MMRCA deal of 2012, then why did the Indian government not invite Eurofighter? Would this not have helped India strike even better bargain from them or Dassault? 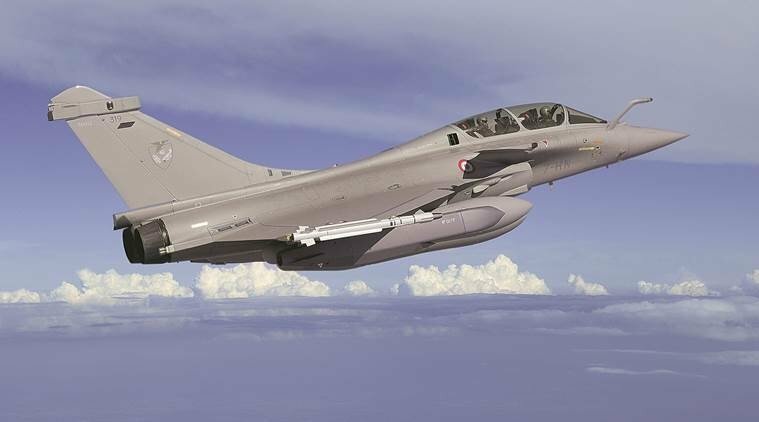 After all, it was the fact that Rafale offered lower price than Eurofighter in the MMRCA tender that landed them the contract. A rational approach would have been to invite both Rafale and Eurofighter to drive down the price. Why are they even here falling on the half-truth of abiding by CVC’s 2005 guidelines when the Government of India tom-toms that purchasing 36 jets was a new deal, a fresh negotiation? Was the decision to lower the number of fighter jets from 126 to 36 in accordance with the shift in national security assessment? Was this authorised by Defence Acquisition Council chaired by the union minister of defence, and which includes the three service chiefs, as per the Defence Procurement Procedure, prior to April 2015, when the Indian prime minister visited Paris, and announced this new deal? Was any discussion or consultation held with the stakeholders of this deal? If so, how come HAL was left out from this consultation or conversation? And finally, if the government has no role to play in selection of offset partners by the OEMs, and the OEMs are free to partner with any Indian entity, does it mean that Indian government has willy-nilly sub-contracted vital parts of national interest to OEMs? It certainly flies in the face of facts because recently, Russia’s plan to forge partnership with Adani group, considered close to the top echelons of BJP, was shot down by the government. It was most likely a measure to avoid a recurrence of Rafale-like storm. However, why did the same authority not invoke to refuse the deal between a novice and financially debilitated ADAG? The French Government, like the advocates of BJP, keep chanting that government has no role to play in which company the OEM chooses to partner for offset servicing. With Hollande disclosing that Government of India itself recommended ADAG group as offset partner for Dassault, and if this is read together with other evidence available in public domain by now, the government is faced with a smoking gun, and it is not going away any time soon. Because, there are far too many gaping holes in the government’s version of the story. The larger lesson is that the lure of privatisation blinds many from realising that an arbitrary decision can jeopardise national security. To change military requirement of 126 jets to 36, and to leave gaping holes in the “dissuasive military posture” approach vis a vis China indeed weakens the ‘two front war’ preparation scenario. It was on the basis of which 42 squadrons were visualised. If the scenario itself has been discarded, then it is another matter. I for one would welcome that because to treat China as an enemy is an oxymoron. It is a neighbour who is an adversary, but one with whom differences cannot be allowed to turn into conflict. Point is that the scenario of two-front war has not been discarded, as India’s military proximity to the US displays quite prominently. One gets curiouser when it is noted that having dumped manufacturing by the HAL, and settling for outright purchase of 36 jets valued at Rs 59,000 crore (which will rise by 20 per cent in rupee terms, as the rupee is 74 or so,), government has decided to restart the tender process all over again to acquire 100 plus fighter jets? Does this cancelling of a done deal, replacing it with outright purchase, offset servicing benefitting a crony, and then restarting the process again not bring down and compromise country’s military preparedness? Above all, what should concern all of us, even when we the critics feel vindicated, is that the privatisation of the military sector poses a threat to country’s indigenous capability building in military sector. It enables international merchants of war to control and dominate India’s military sector, and hollows out Indian’s strategic autonomy and independent foreign policy. It is worth noting that the military sector, especially in a country like ours which is still grappling with stark poverty and inequality, should not be privatised because private sector is guided by profit motives. If at all private sector is to be involved, they must play second fiddle to the public sector. Private manufacturers, particularly foreign OEMs, want firm contracts from the government to purchase their military hardware produced in the country because “idle capacity” is anathema for them. In other words, this will tie India down to big ticket acquisitions, and to guaranteeing financial returns to their “Strategic Private Partners,” even when the country’s strategic perspective and threat scenario changes, or acquisitions no longer require this. This makes the entry of the private sector, particularly foreign OEMs, problematic. It will make us more dependent on foreign suppliers, and the powers that control them, apart from tying-up our relatively scarce resources for decades. It is in the very nature of the military that marks out its difference from other economic activity. The government is its main, if not only, buyer, and sovereign states or corporations enjoying sovereign guarantees, its potential trade partners. Strategic perspective can, and do, alter with changes both domestic and international, which have a significant bearing on defence procurement. In other words, Rafale deal offers us insight into how dangerous this dogmatic faith in privatisation can become and how widespread this practice of gratifying corporate houses can become the norm which can compromise country’s already beleaguered strategic autonomy and independent foreign policy.